Russell was born January 31, 1938 to Lawrence and Lillian Dwyer of Warren County. He graduated from Franklin High School and attended Miami University. 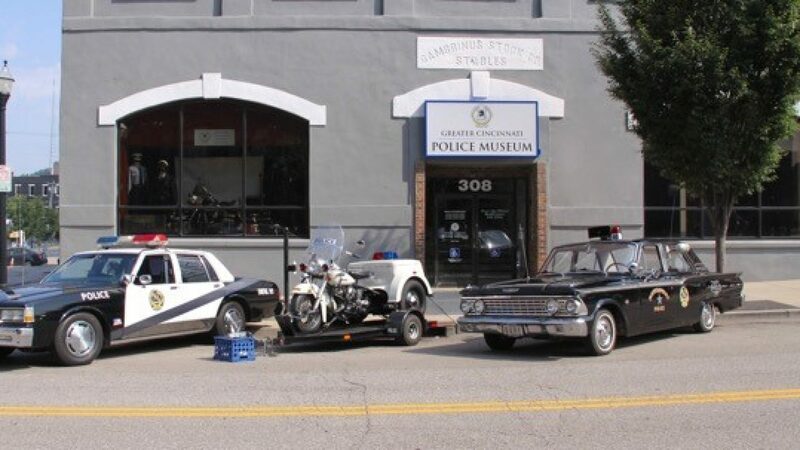 Russell was appointed to the Middletown Police Department as a Patrolman on July 6, 1960. Already by 1962, he was an assistant juvenile officer. By July 1963 he was working with a detective investigating a murder. He was promoted to Detective on October 9, 1963. Within a year, he was a Sergeant. Later, he was chief of the Narcotics Squad and in 1971 served in the Intelligence Unit. The next year, 1972, he was promoted to Lieutenant. Three years later, he was a Captain, commanding the Services Division. 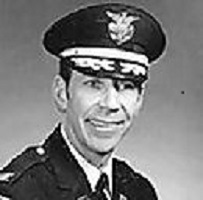 Captain Dwyer was promoted to Police Chief on November 19, 1975, becoming the youngest police chief in the city’s history. Three months later, on February 19, 1976, he and almost 2/3rds of his department conducted a largest raid in the city’s history across the city’s south side making arrests and recovering narcotics, cash, and weapons. On May 3, 1977 he was awarded the East Kiwanis Club’s Outstanding Police Officer Award. During 1981 he was named the vice chairman of the State’s Law Enforcement Coordinating Committee. On June 13, 1987 he was honored by Attorney General Edwin Meese at a meeting of the National Institute of Justice in Phoenix. During his law enforcement career, he graduated from the FBI Dignitary Protection Academy, served as Secretary Treasurer for the International Association of Chiefs of Police, Secretary Treasurer for the Ohio Association of Chiefs of Police, founded the Narcotics Division for the City of Middletown, founder Safety Town, and was a member of the Chamber of Commerce and Rotary Club. After serving Middletown for 21 years, he explored other opportunities as Director of Safety at Bob’s Truck Service, Director of Safety and Vice President for Excel Trucking, and News Director for WPFB. Chief Dwyer passed away peacefully, surrounded by loved ones, at the home of his daughter on Monday, April 23, 2018. He was predeceased by his parents and a sister, Claudia Dwyer. Chief Dwyer is survived by his wife of 36 years, Patricia Dwyer; children, Anthony (Molly) Dwyer and Robert Dwyer; stepchildren, Dennis (Kathy) Cox and Dana (Matt) Stephens; siblings, Roger Dwyer (Kathy), Ralph (Joyce) Dwyer, Paul (Marty) Dwyer, Norma Baird, and Crystal (Ron) Harsha; grandchildren, Russell Dwyer, Anthony Dwyer, Dylan Dwyer, Brandon Dwyer, Ashley Cox, Allison Cox, Alex Cornele, and Lucas Cornele; and great-grandchildren. Visitation was held 5 p.m. to 8 p.m. on Thursday, April 26, 2018 at Breitenbach Anderson Funeral Home. Funeral services were held at 10 a.m. on Friday, April 27, 2018. Burial followed in Springboro Cemetery.